Golden Gate is proud to introduce a comprehensive new line of Classical Guitar machines, from sturdy, economy machines at the most affordable prices to deluxe models that would grace the finest handmade guitar. 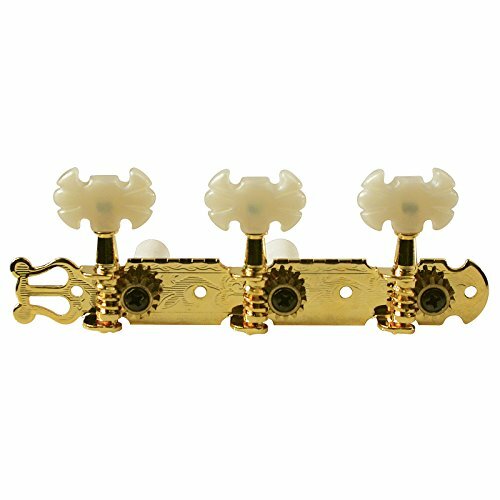 All these sets feature the large, white ABS string rollers necessary with the use of nylon or compound strings. The finer sets have fancy, engraved plates-finished in gold, nickel, black or antique brass—with a choice of stylish buttons. If you have any questions about this product by Golden Gate, contact us by completing and submitting the form below. If you are looking for a specif part number, please include it with your message.